And the “popular vote” most certainly counts for nothing. 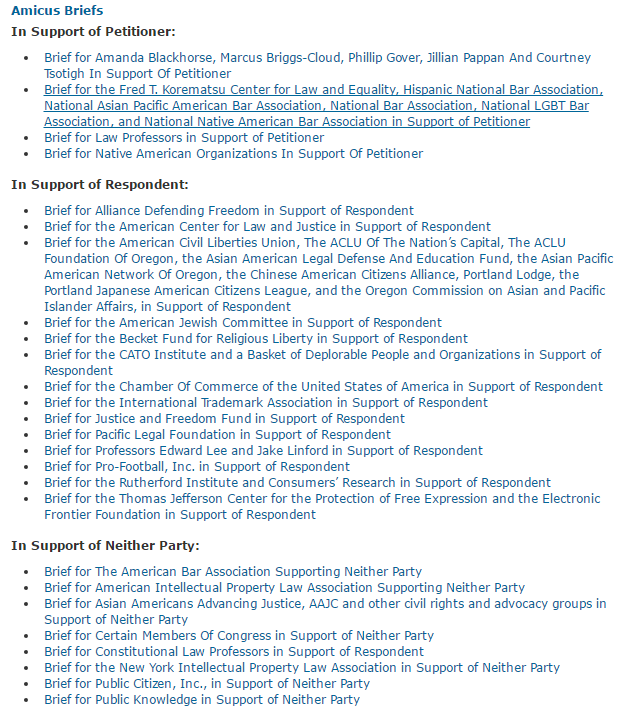 UPDATE: I don’t know why but the ABA website still does not reflect the full complement of briefs submitted in support of the Respondent. You can find it here, at SCOTUSBlog. 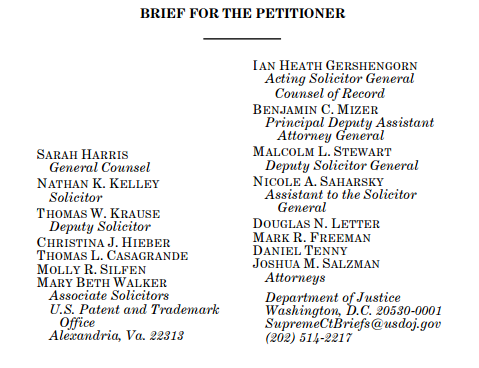 PARTICIPATION TROPHY UPDATE: The PTO’s brief is the handiwork of no fewer than 15 government lawyers.